Erie, PA – If there was a script for how a season opener should go, the Falcons nearly followed it to the letter Saturday night. 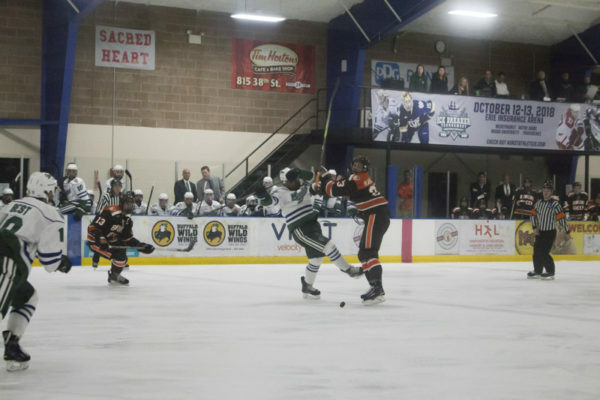 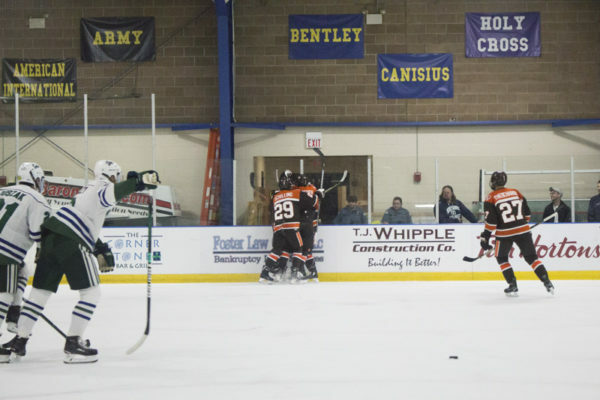 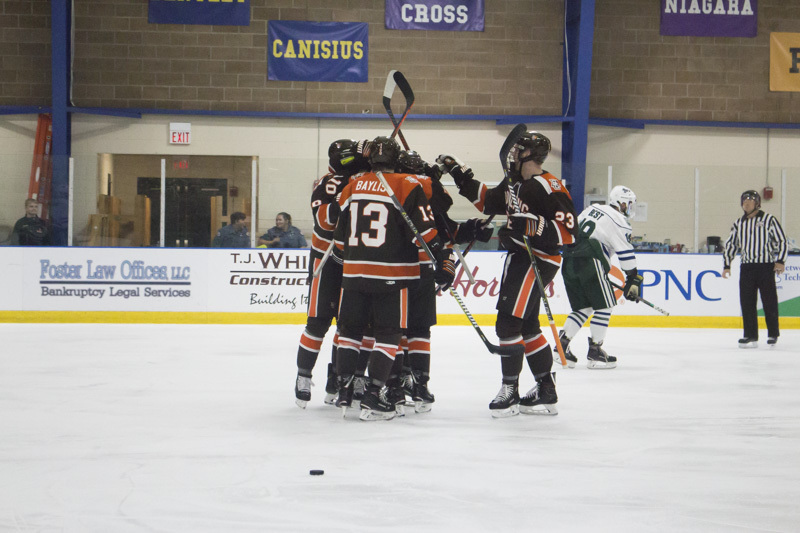 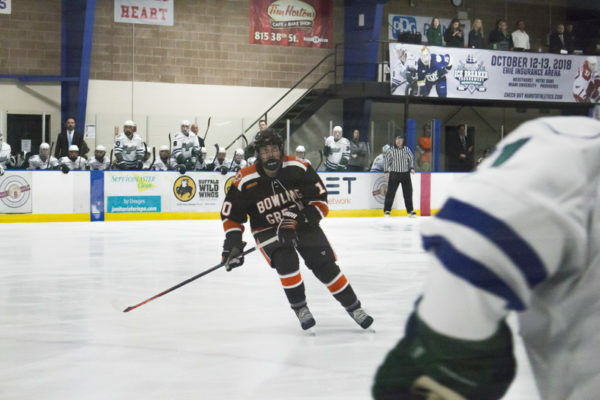 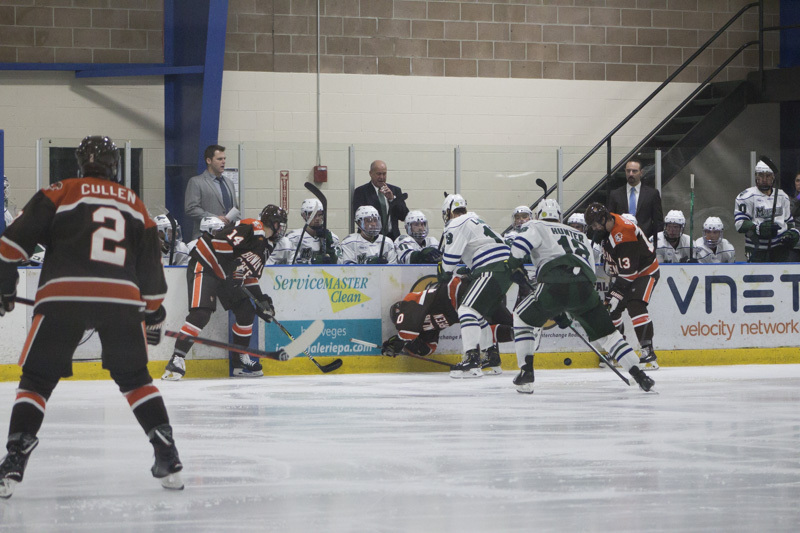 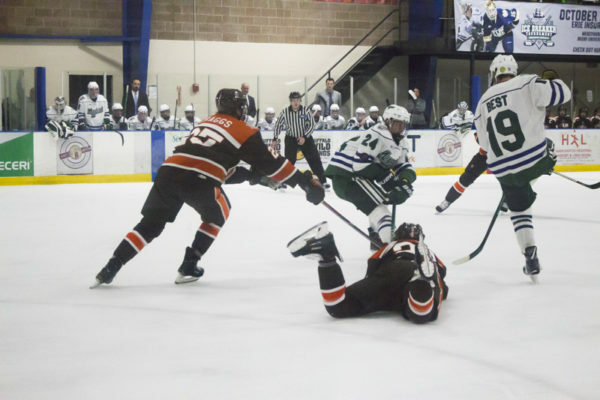 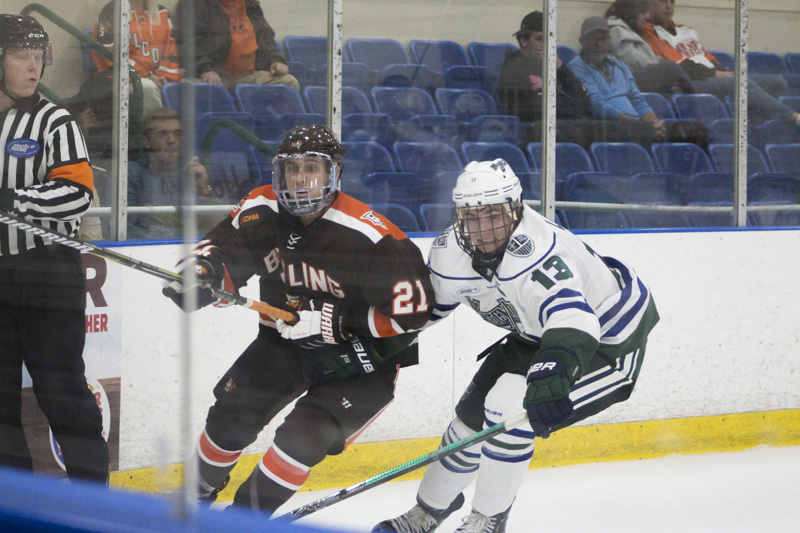 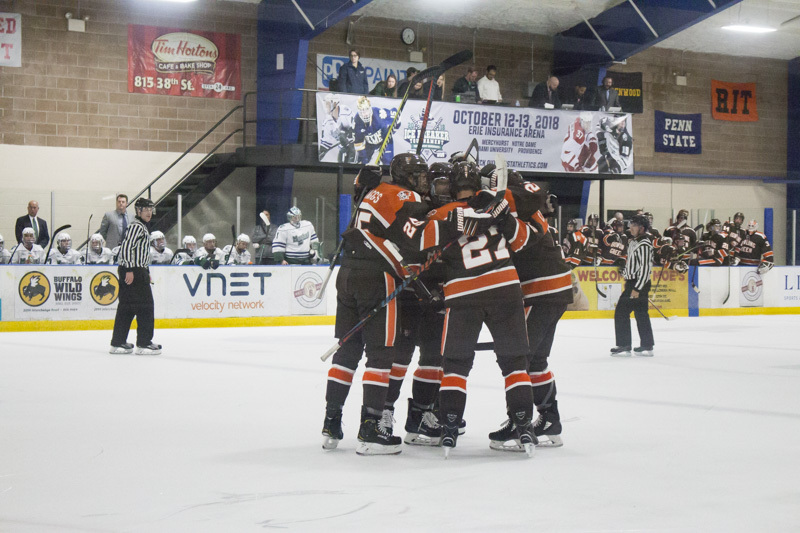 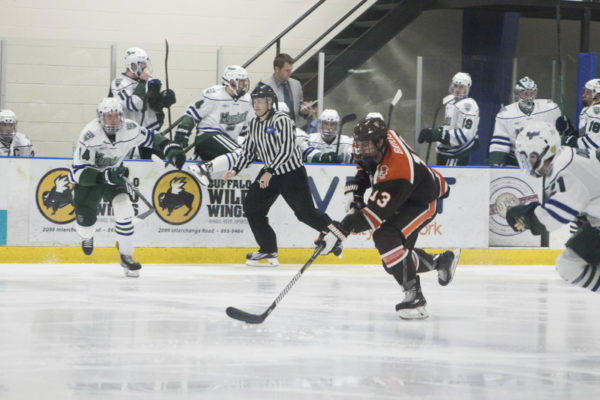 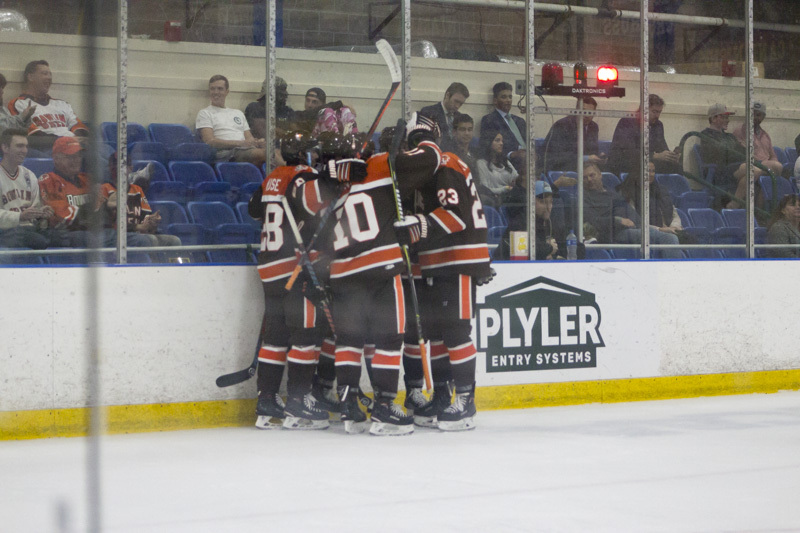 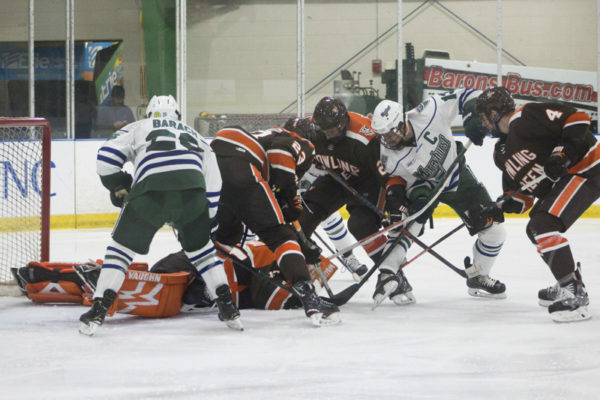 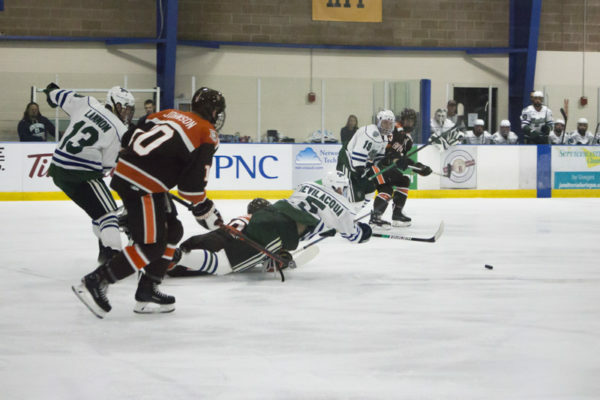 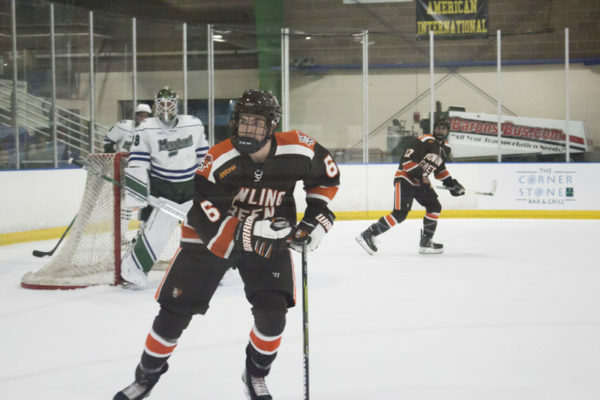 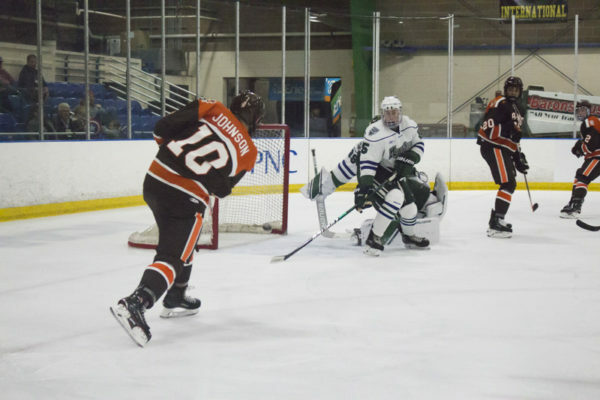 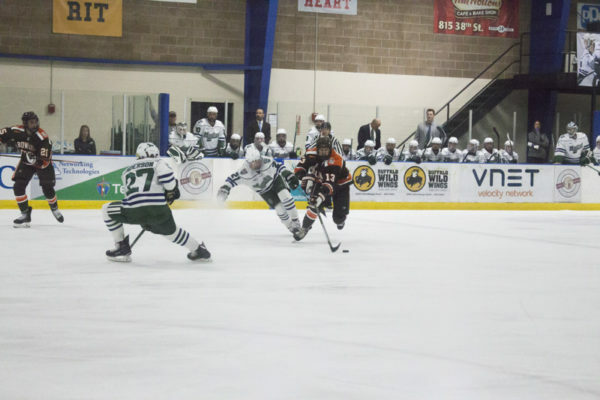 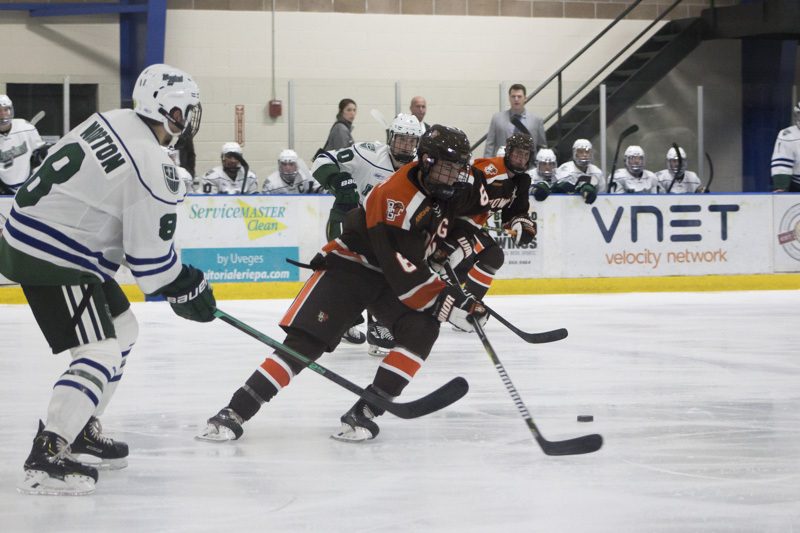 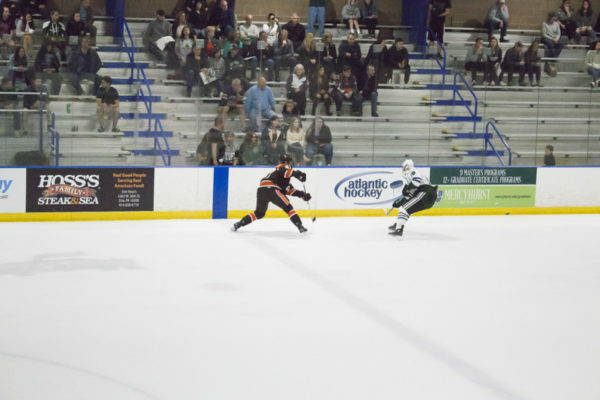 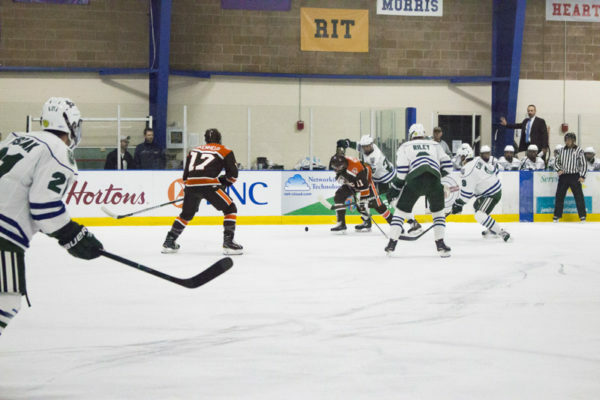 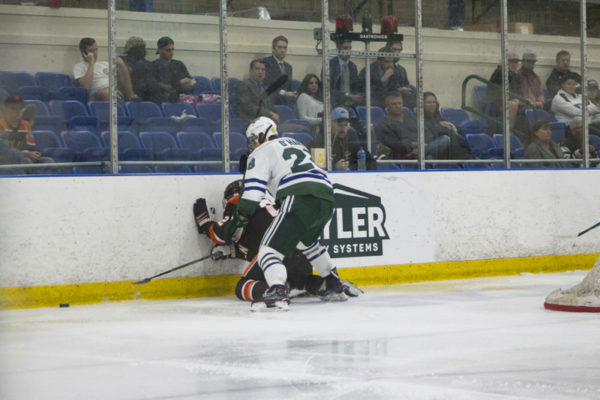 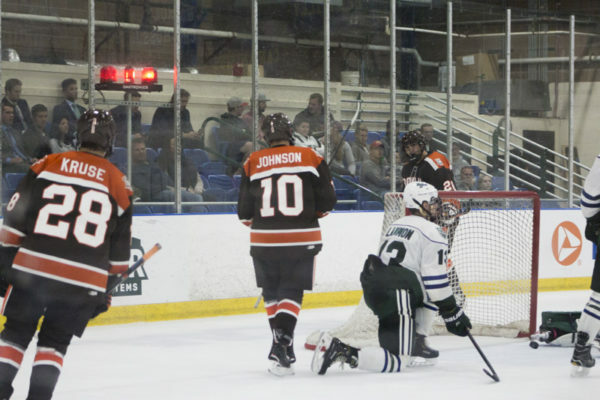 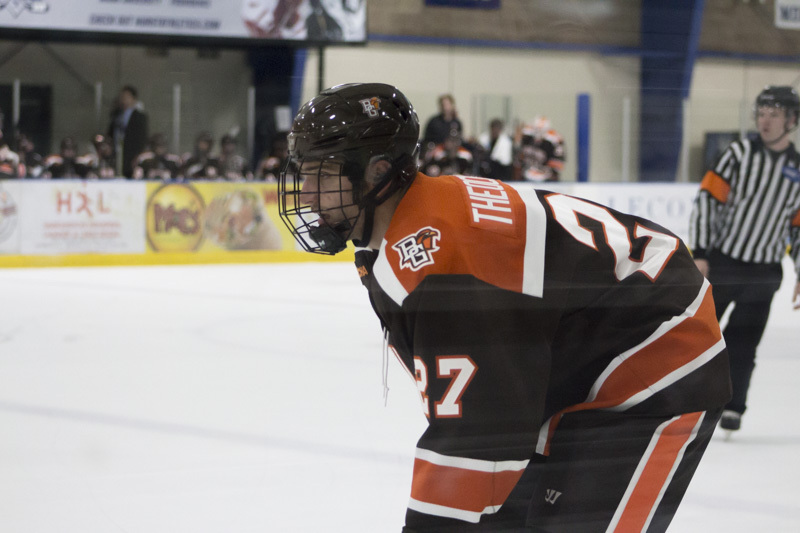 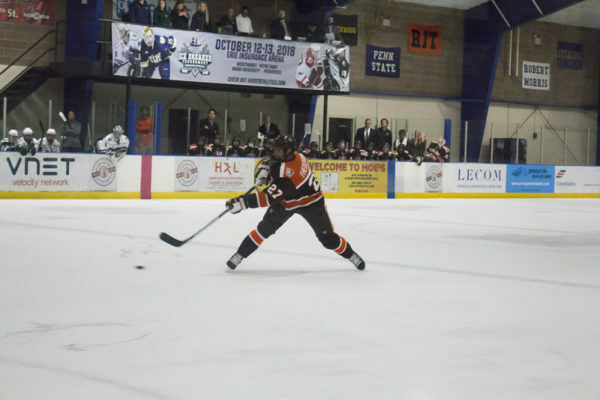 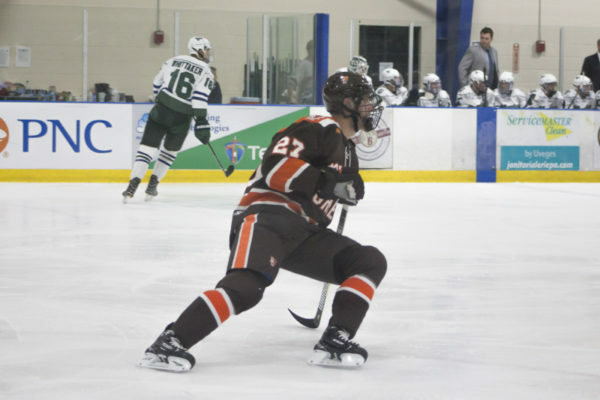 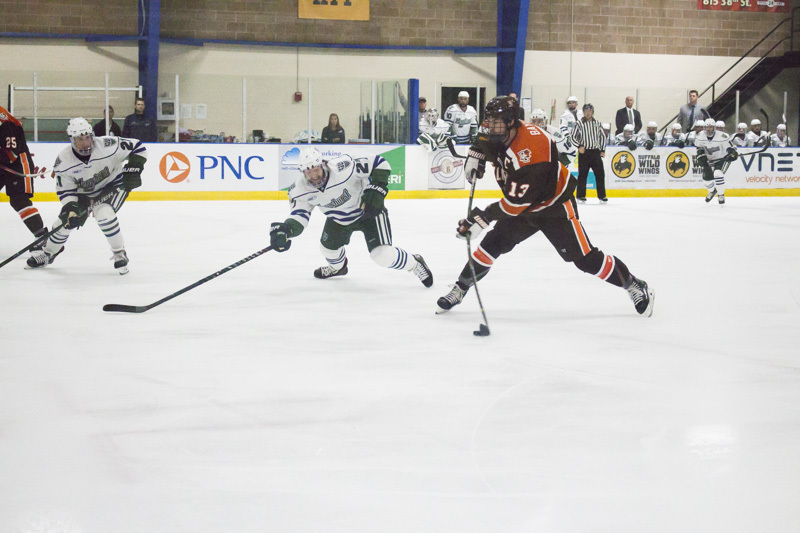 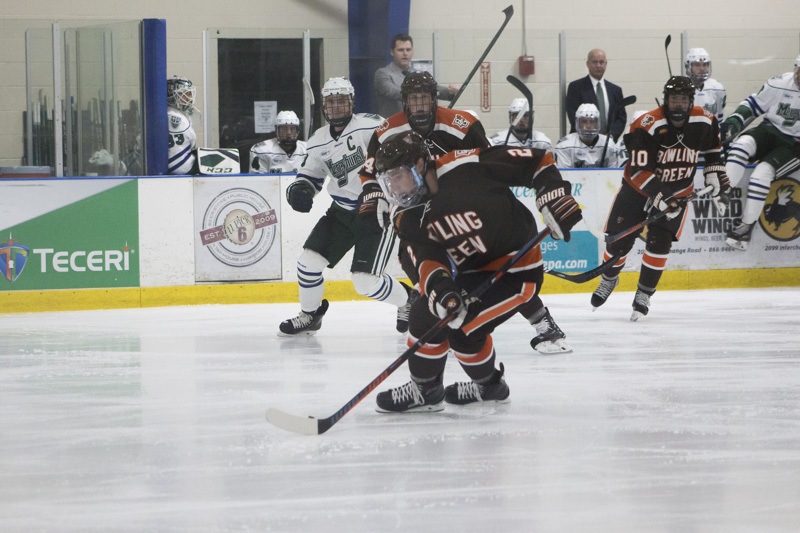 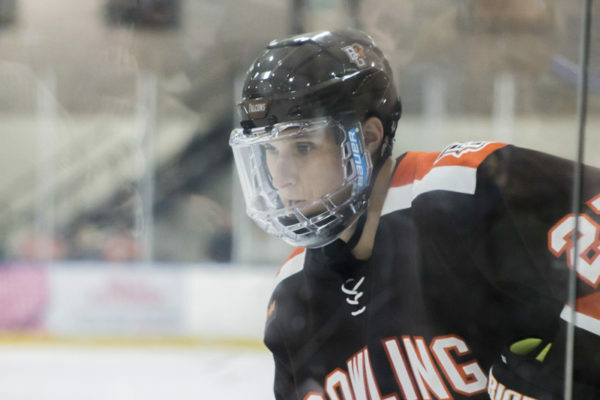 Bowling Green dominated Mercyhurst 8-2 in nonconference action. 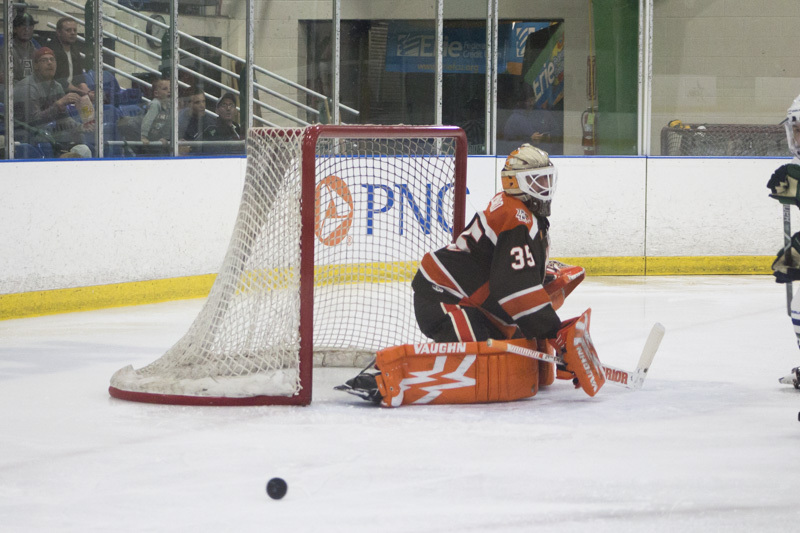 Ryan Bednard started in net for the Falcons, stopping 18 of 20 shots faced. 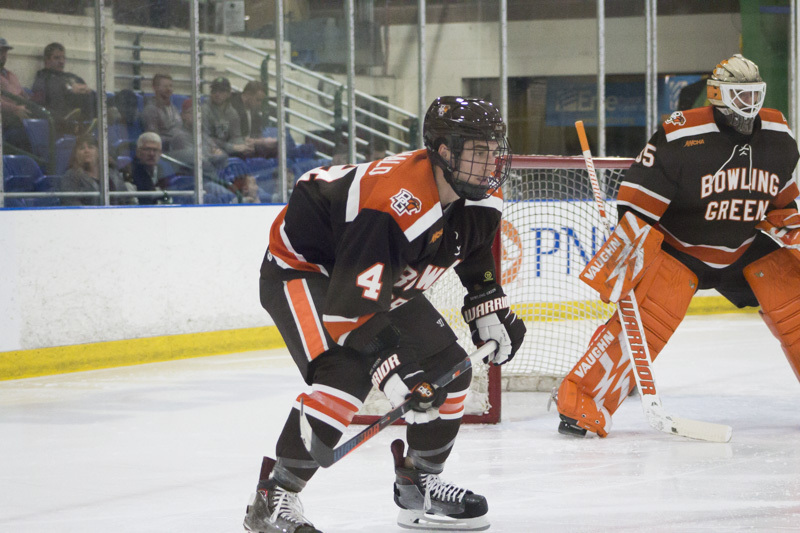 Garrett Metcalf countered for the Lakers, making 18 saves on 23 opportunities. He was relieved by Colin DeAugustine (8 saves) and Stefano Cantali (1 save). 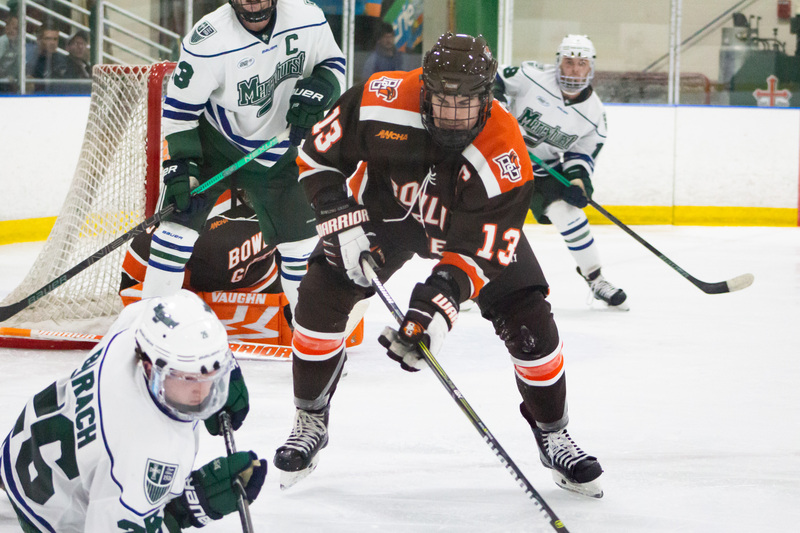 Max Johnson opened the scoring for the Falcons at 4:08 of the first period on the power play. Will Cullen had hopped off the bench and skated into the Falcon zone. 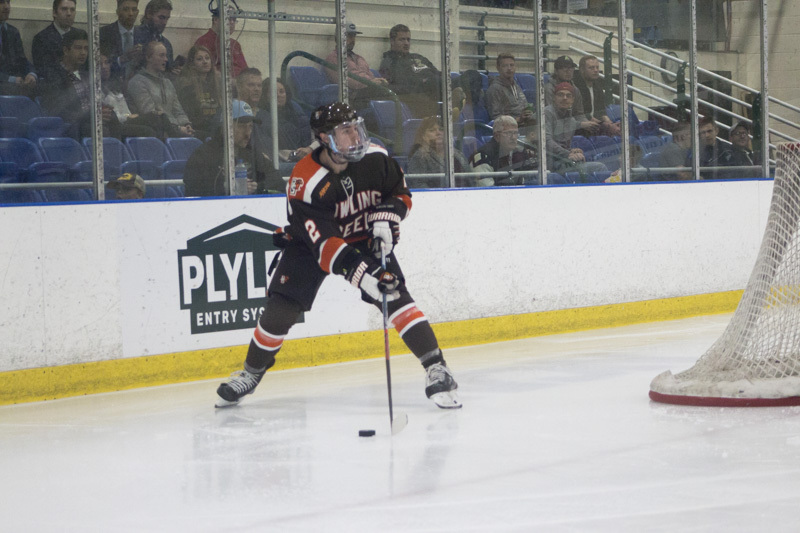 He took a pass from Stephen Baylis and found Johnson in the far faceoff circle. 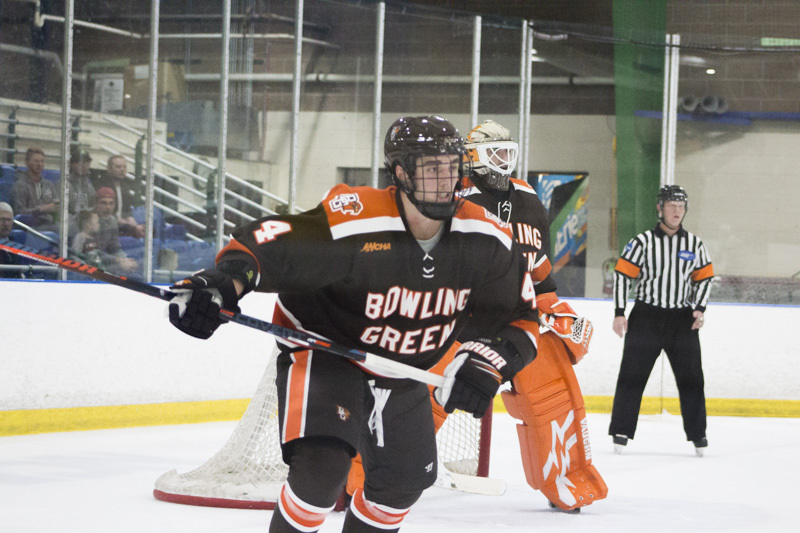 Johnson’s one-timer found the net to give Bowling Green the 1-0 lead. The assist was Cullen’s first point and assist of his collegiate career. 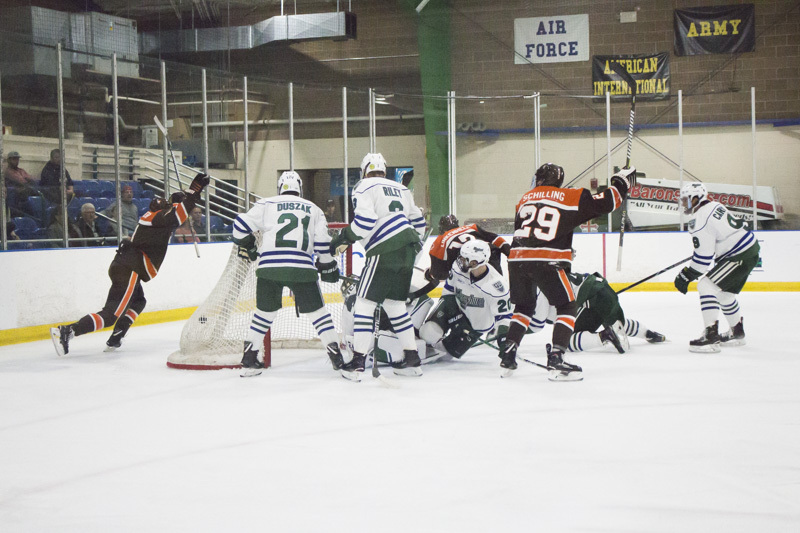 The Falcons extended their lead to 2-0 just over three minutes later. 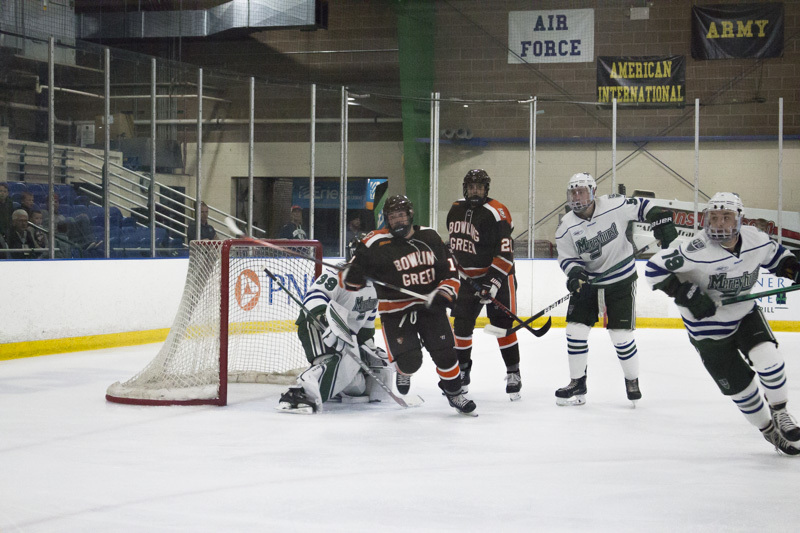 Taylor Schneider sent a shot on net that was saved by Metcalf. 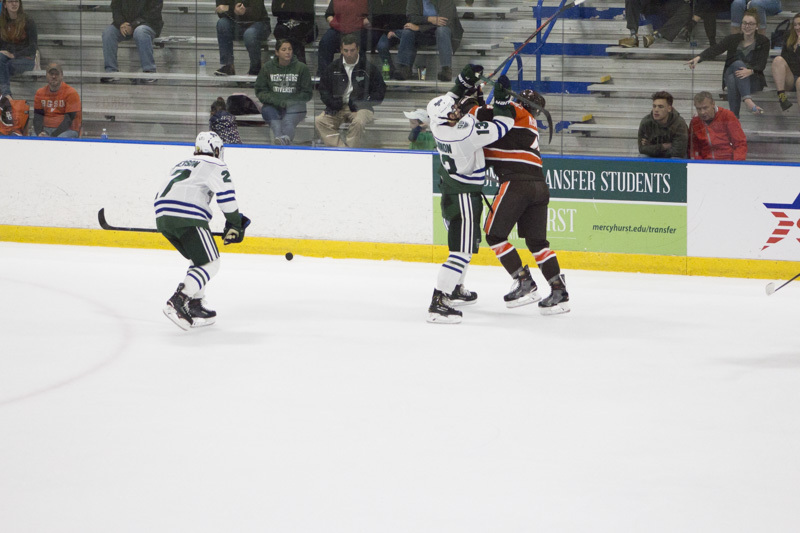 The rebound came out to Casey Linkenheld who potted a backhand shot for his second career goal. 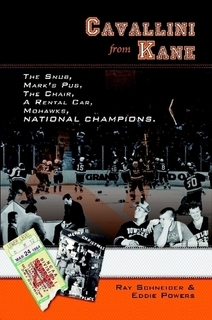 Schneider’s assist was his first of his collegiate career. 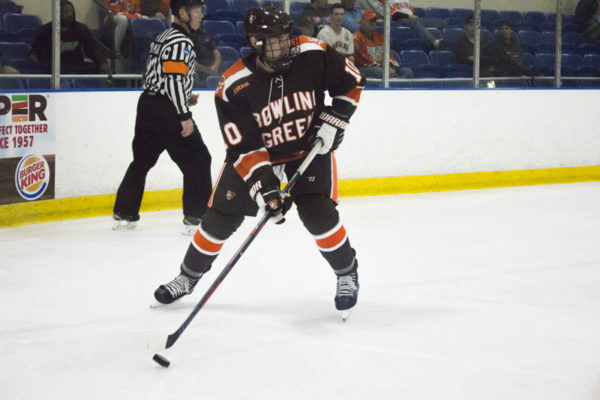 Bowling Green capped their first period scoring at 8:01. Chris Pohlkamp passed across the blue line to Tim Theocharidis who found an open lane and threaded a seeing-eye wrist shot past Metcalf. 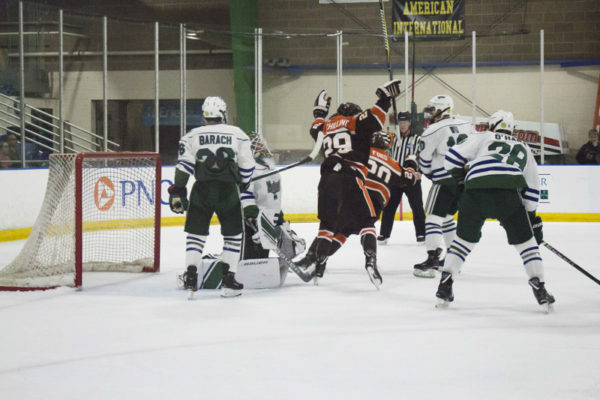 The goal was Theocharidis’ first of his career. 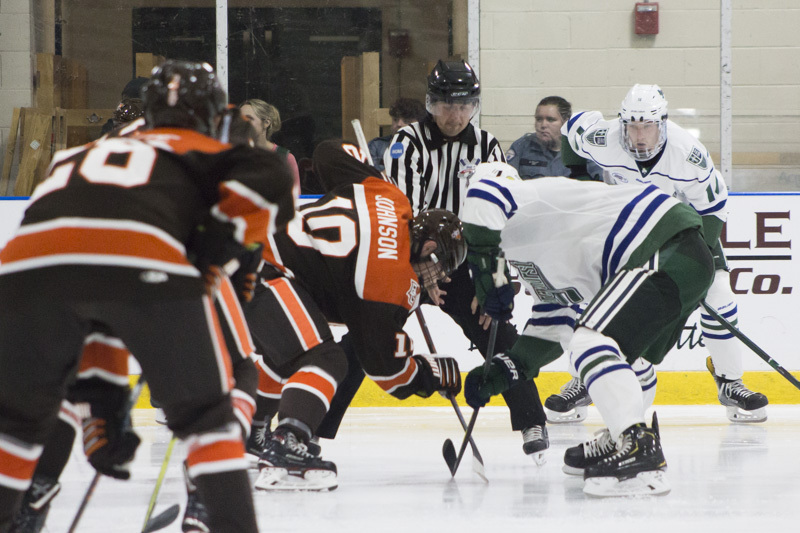 Bowling Green finished the first period with 14 shots on net, while Mercyhurst had 11 chances. 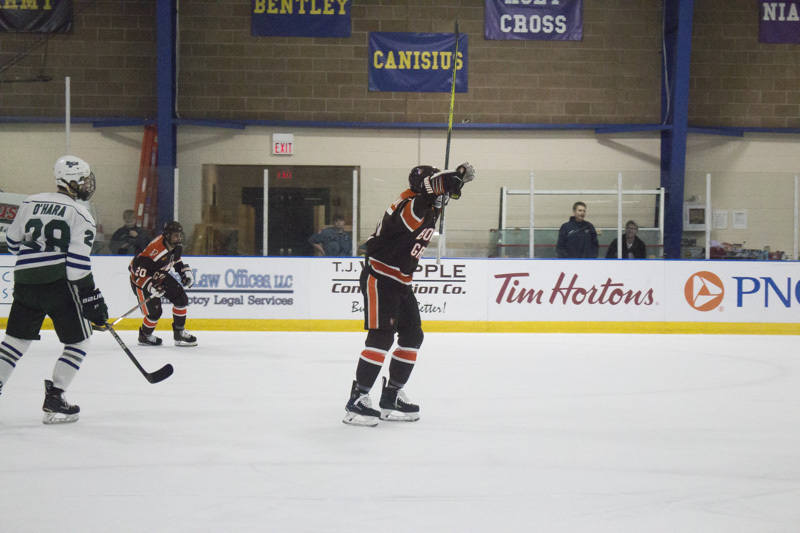 Stephen Baylis celebrated his newly earned captaincy with a goal of his own at 11:10 of the second period. Baylis skated in on the net before picking a shot just inside the far post for his first goal of the season. 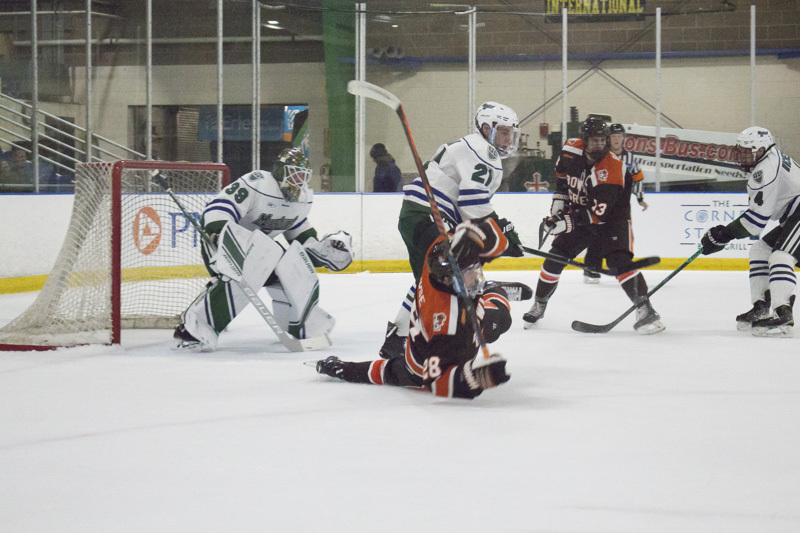 He was assisted on the play by Brandon Kruse. 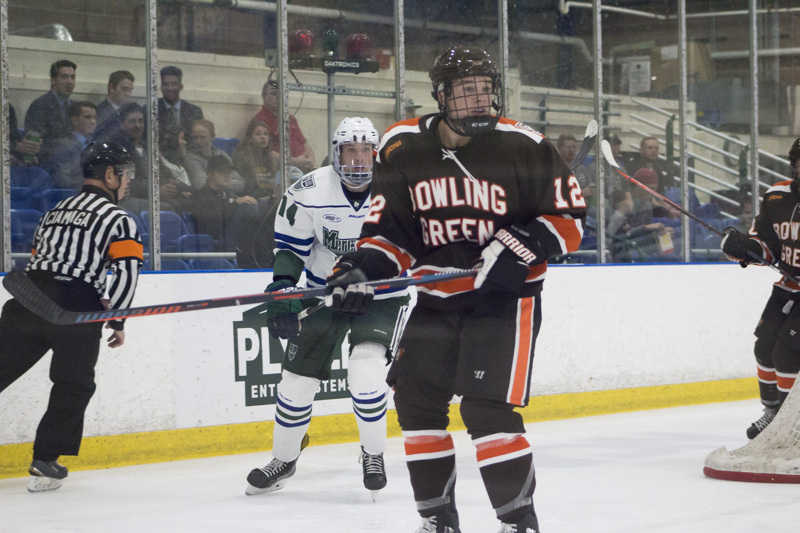 Baylis tallied his second goal of the night at 12:47 of the second period. 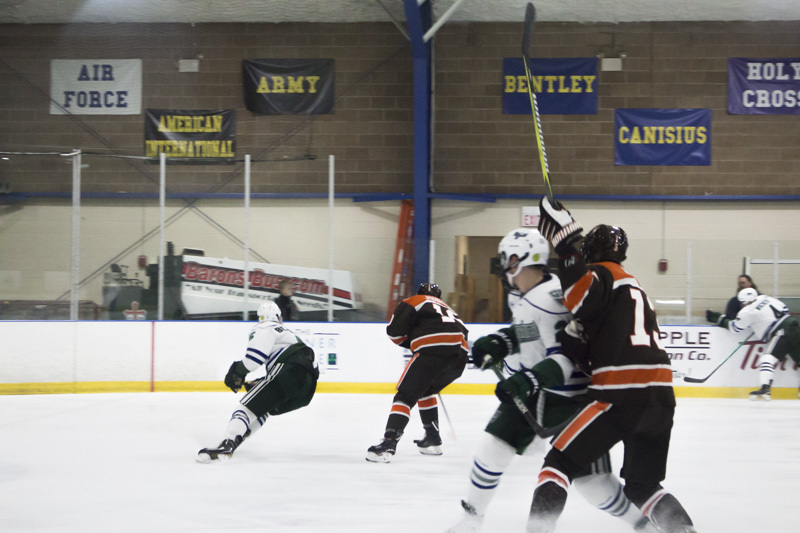 He followed up a rebound by Max Johnson to extend the Falcons lead to 5-0. 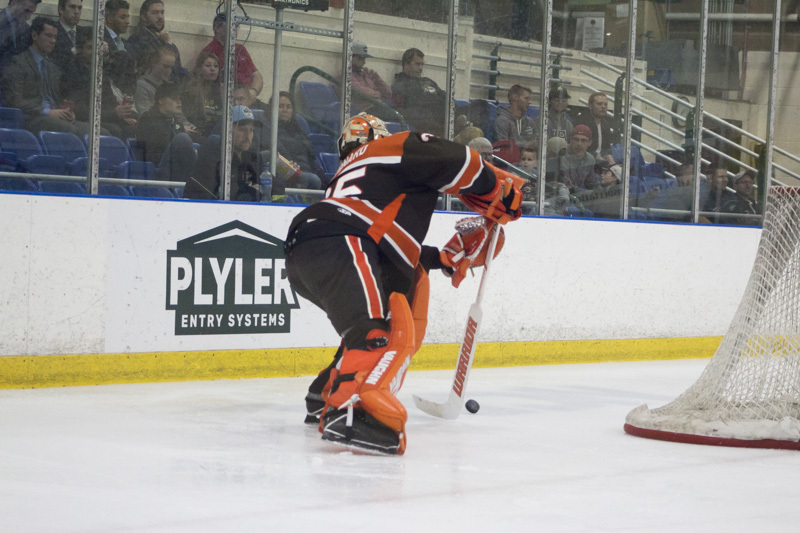 The Falcons had nine shots in the second period while the Lakers had four chances. 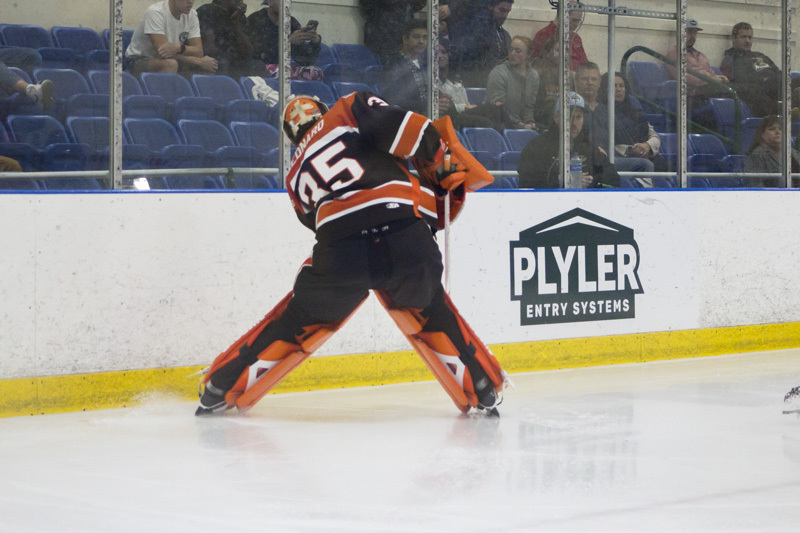 Colin DeAugustine took over for Metcalf to start the third period. 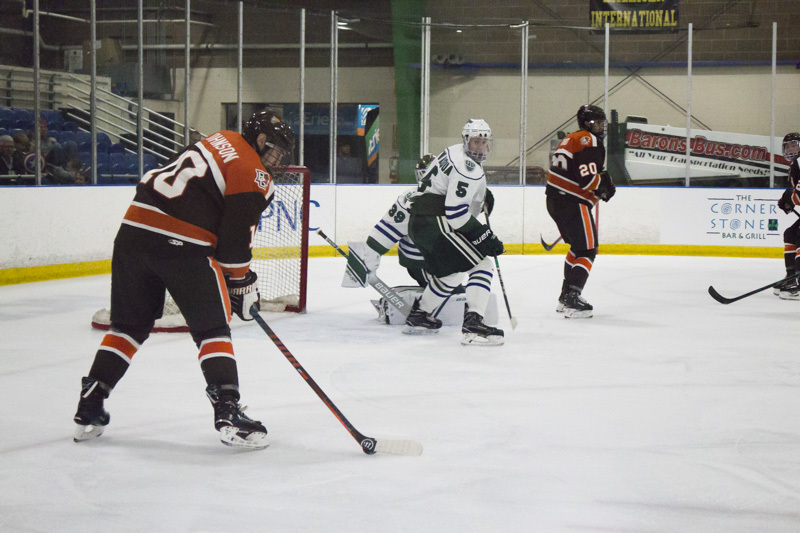 Stephen Baylis completed the natural hat trick at 5:47 of the third period. 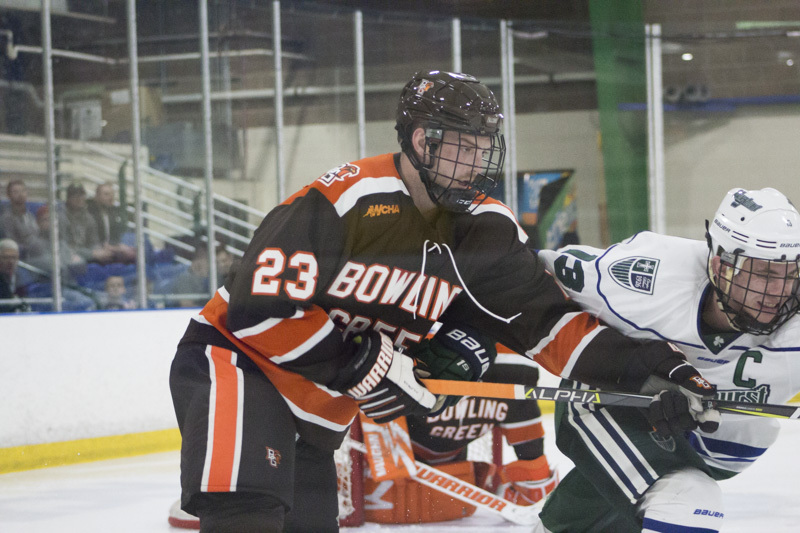 The Falcons were skating on the power play before Baylis ripped a one-timer from the face-off circle to beat DeAugustine. 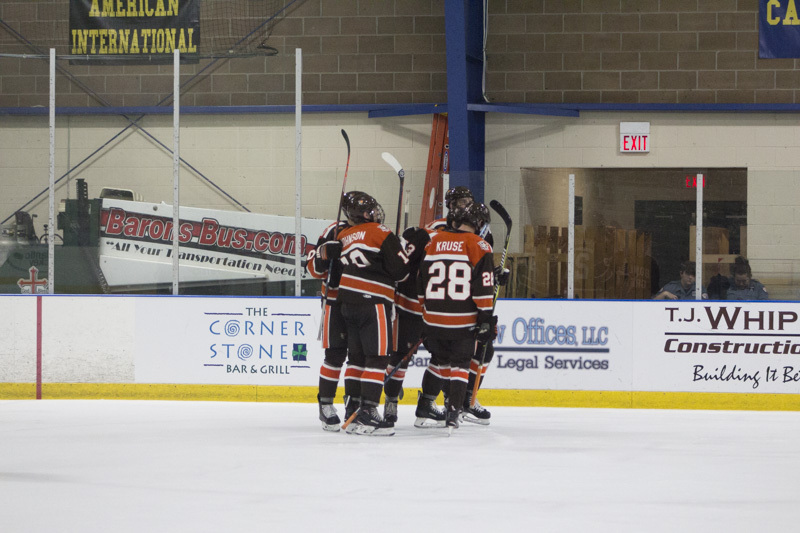 The goal was assisted by Alec Rauhauser and Brandon Kruse. 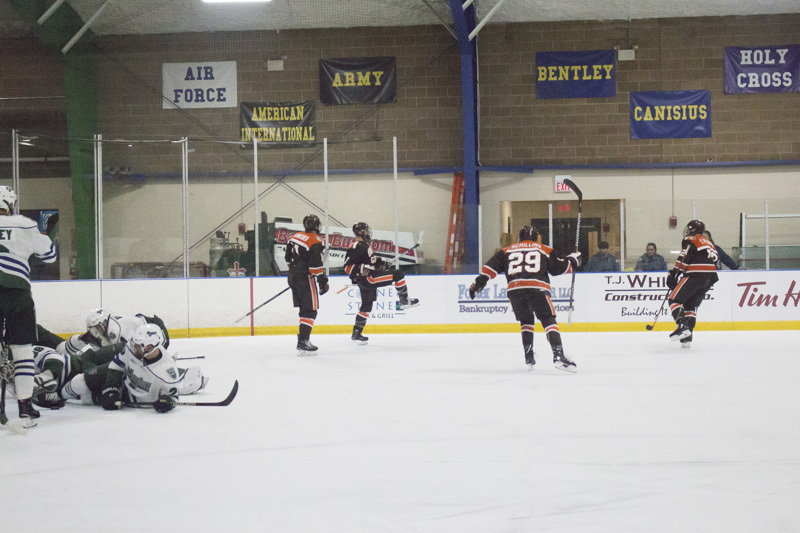 James Anderson spoiled Bednard’s shutout bid at 8:27 of the third period. His wrist shot stopped a six-goal streak for the Falcons. 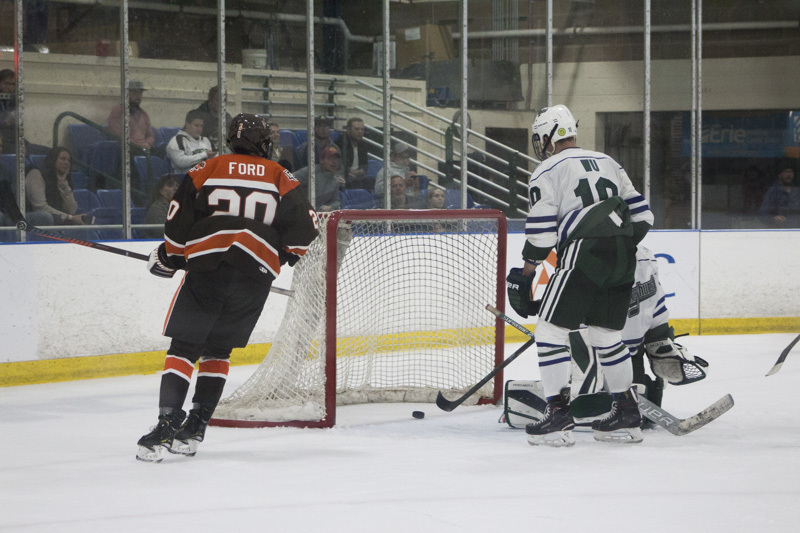 Pennsylvania native Connor Ford pushed the Falcons’ lead to 7-1 at 10:32 of the third period. 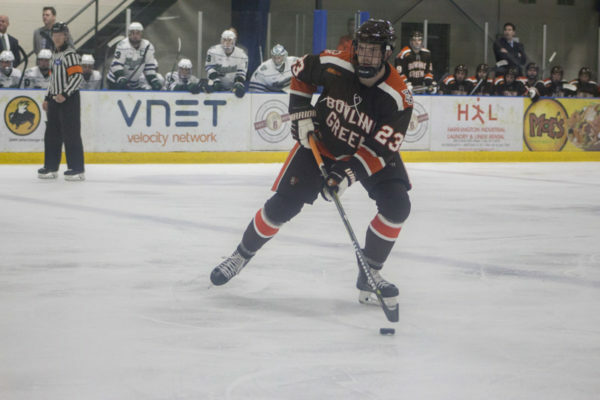 He finished a cross-crease pass from Max Johnson on the power play for his first goal of the season and the Falcons’ third power-play marker as well. 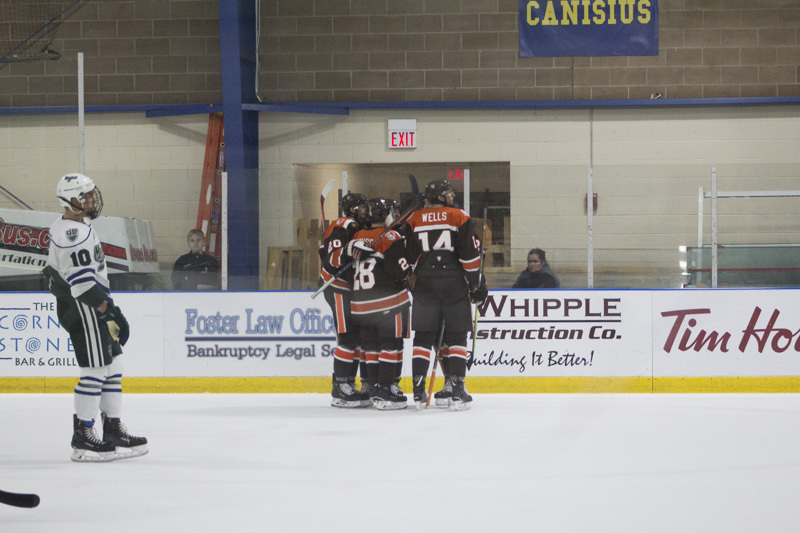 The Lakers responded at 11:09 as Matthew Whittaker cut the Falcons’ lead to 7-2. Bowling Green capped the game’s scoring when Max Johnson’s wrist shot found DeAugustine’s net for an 8-2 lead. 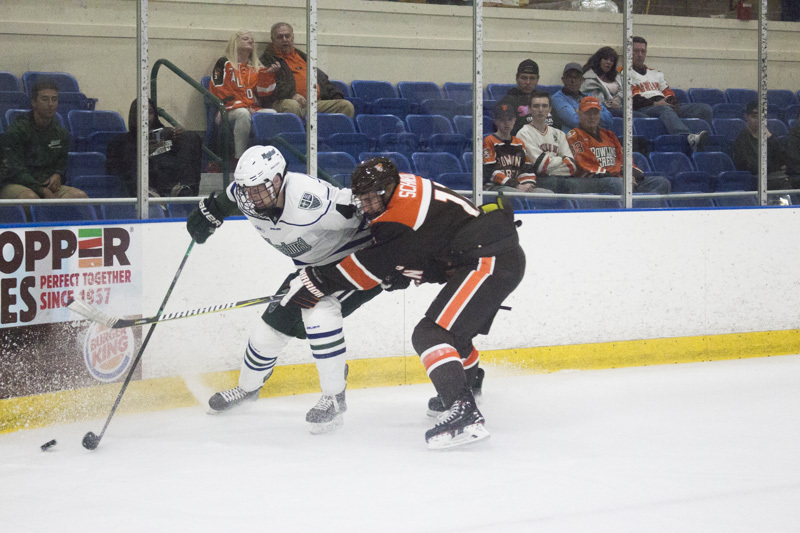 The goal was assisted by Connor Ford and Brandon Kruse at 14:46 of the third period. 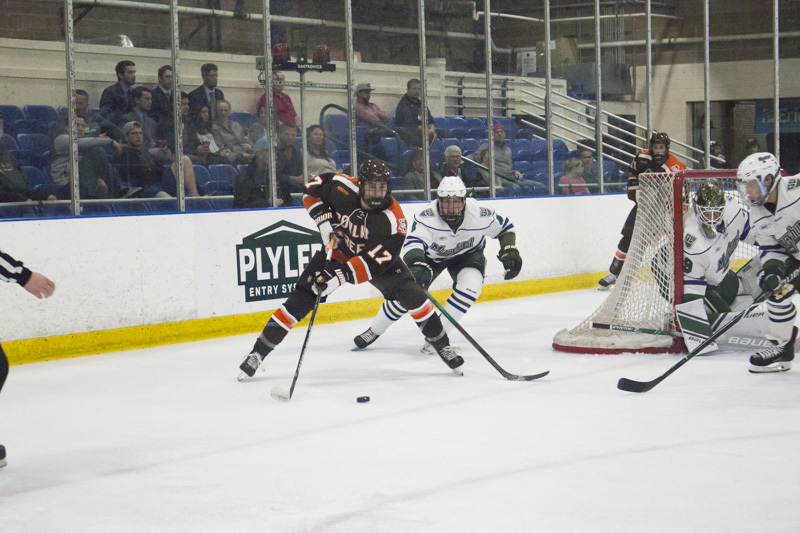 The Falcons finished the third period with 12 shots on net while the Lakers had 5 attempts. 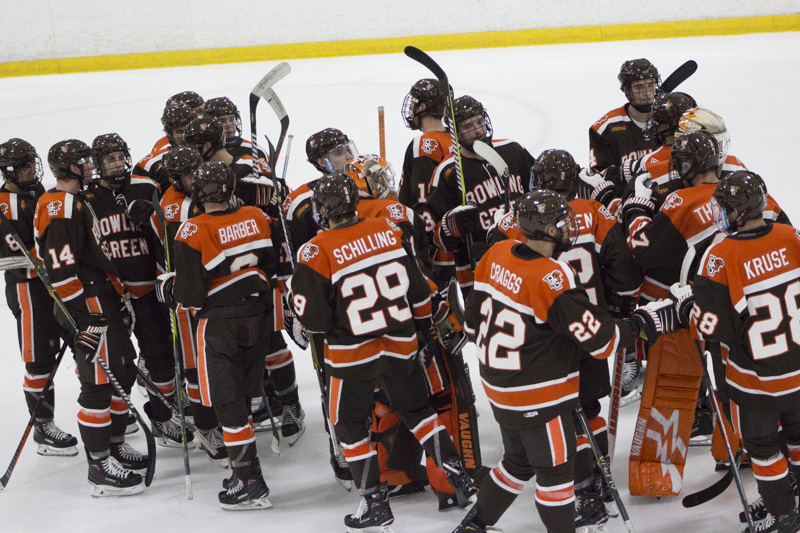 Bowling Green opens the season 1-0-0, 0-0-0-0. Mercyhurst starts with a 0-1-0, 0-0-0-0 mark. 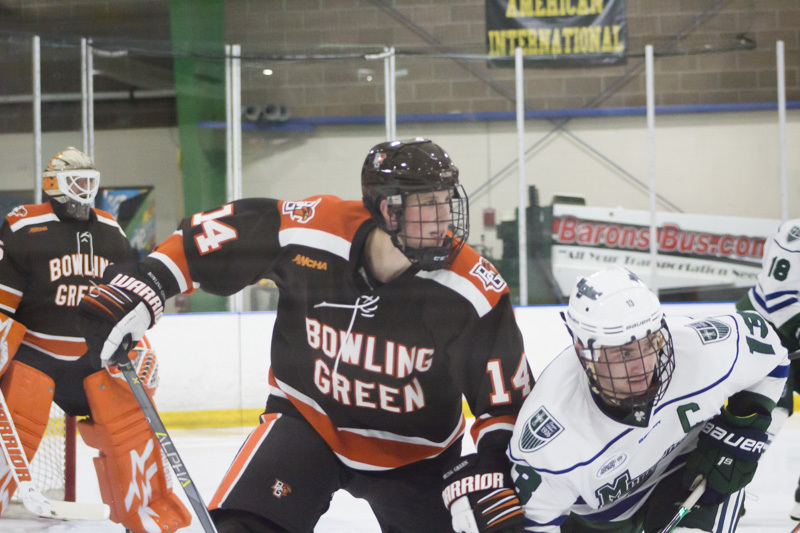 The Falcons will travel to Western Michigan next Tuesday to continue their nonconference slate.